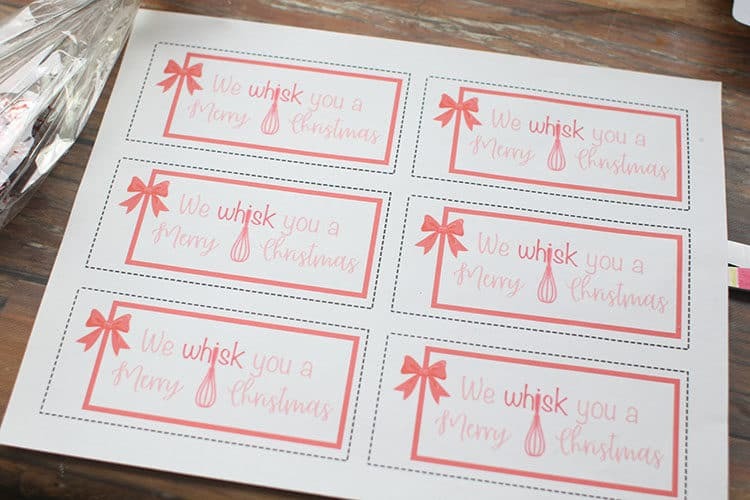 Add a whisk and these We Whisk You a Merry Christmas (Free Gift Tags) are such a sweet idea for an inexpensive gift. 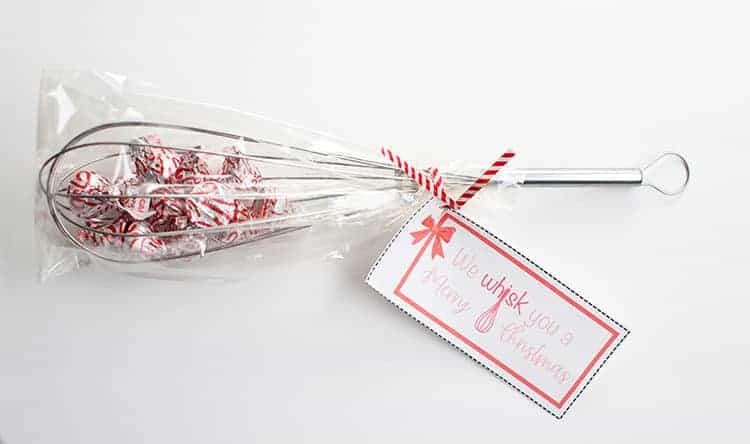 Or use a tiny whisk as a gift topper on all of your Christmas gifts. I can’t remember where I first saw this idea, but I knew I had to share. 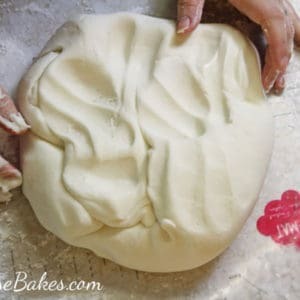 This is oh-so-easy to do and I hope you’re going to love it as much as I do! The first idea… a stand-alone gift. If you have friends who love to cook/bake, this is an inexpensive, yet useful gift for them. I’m thinking of givinig one to each family in our Sunday School Class just for fun. I got everything I needed at Walmart except the bags. Although I’m sure they have some bags in the craft department that would work, I already had these on hand and didn’t want to buy more. 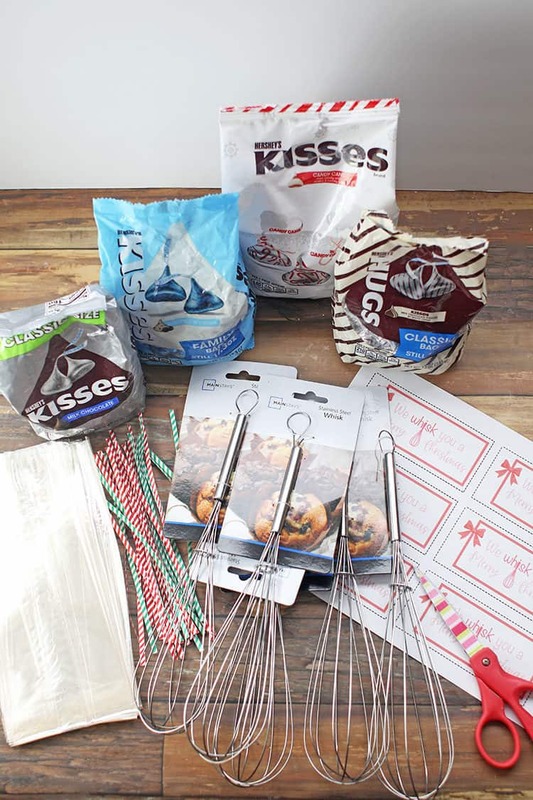 As you can see from the first picture, my husband bought a variety of Kisses for me to use, but I chose the Candy Cane Kisses since they’re my favorite and they’re perfect for Christmas! 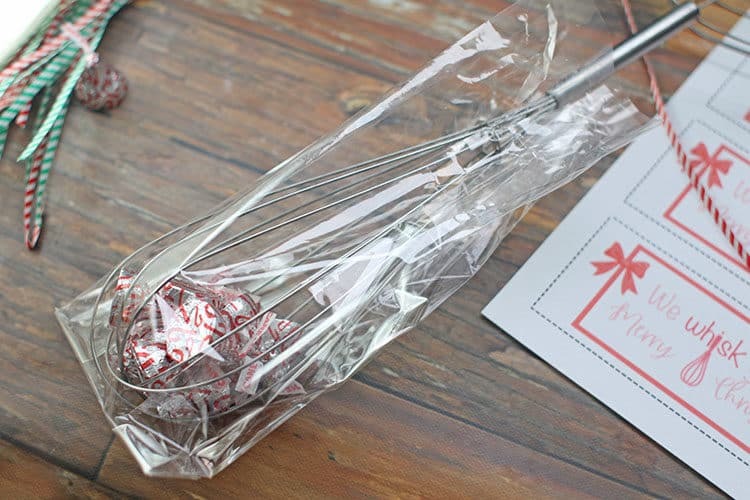 So first put your candies inside your whisk wires. Also please note: some whisks have tighter wiring than others. I purchased these for under $2 each and the wires are pretty loose. Getting the Kisses to stay inside was a little more difficult than I anticipated. But it worked just fine once they were in the bags. 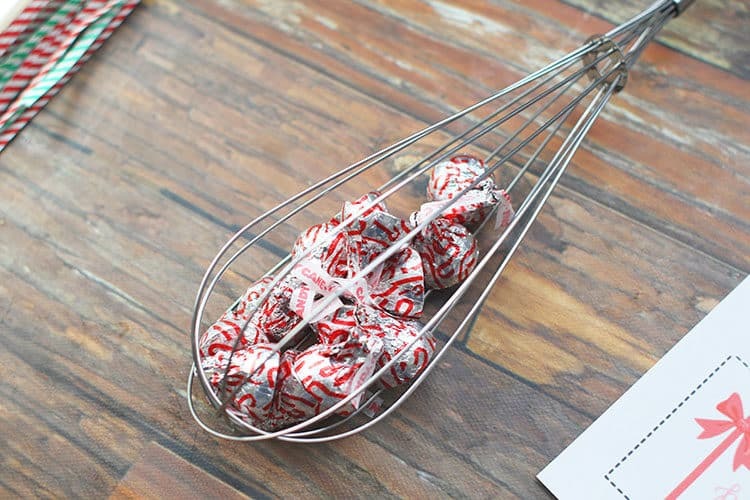 You could also fill your whisks with peppermint or larger candies that would hold better. 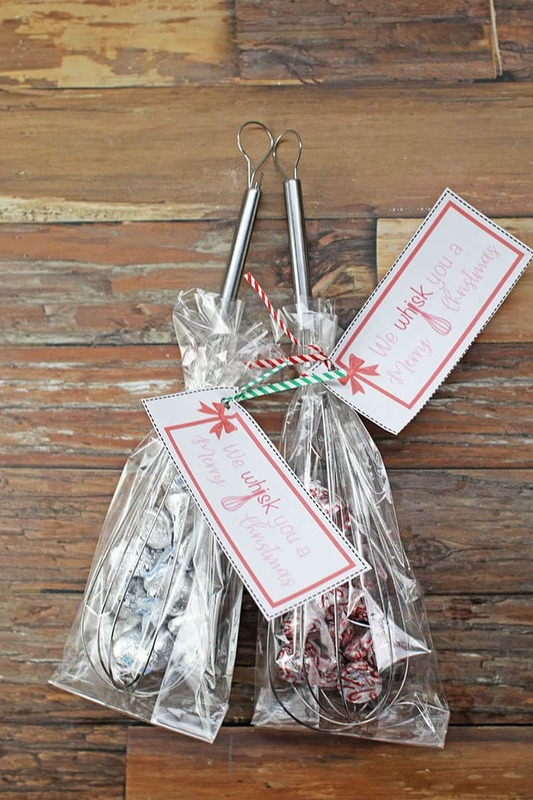 Speaking of… slide the whisks with candies into a treat bag. Then print and cut out your tags. I prefer cardstock but regular paper works too! I used a hole punch to put a small hole in the corner, then attached them to my whisks with a bag tie. Ribbon might have worked better, but again – I wanted to use what I had on hand to keep costs down! And voila – I’m done! I made a second one with plain Kisses and the green bag ties. Honestly, the sky is the limit on ways you could mix this up! The blue Kisses would work perfectly if you had some snow themed bags and blue ties! 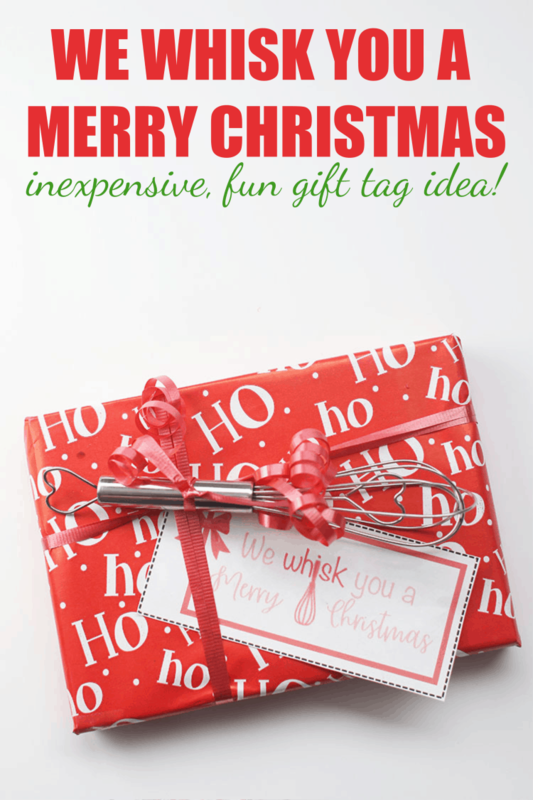 This is especially fun if you’re giving kitchen or foodie gifts! 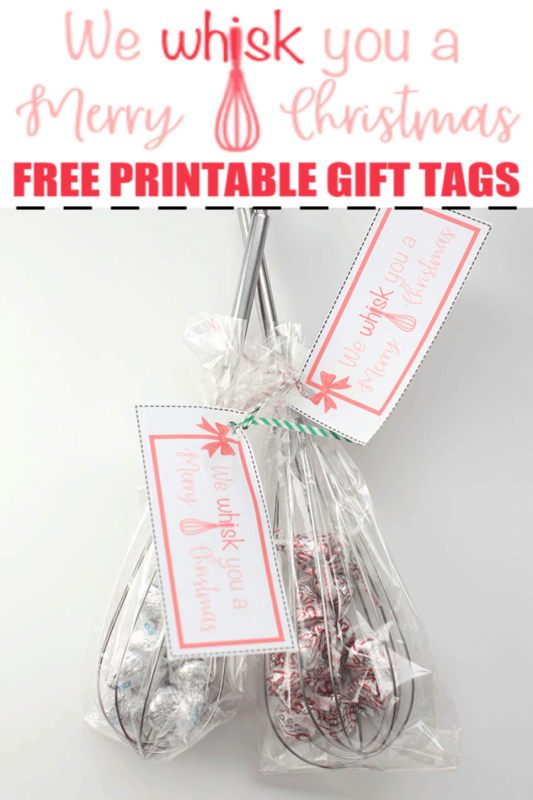 You’ll just need the printable tags below and mini whisks! Okie-dokie… I’m off to work on my next project! 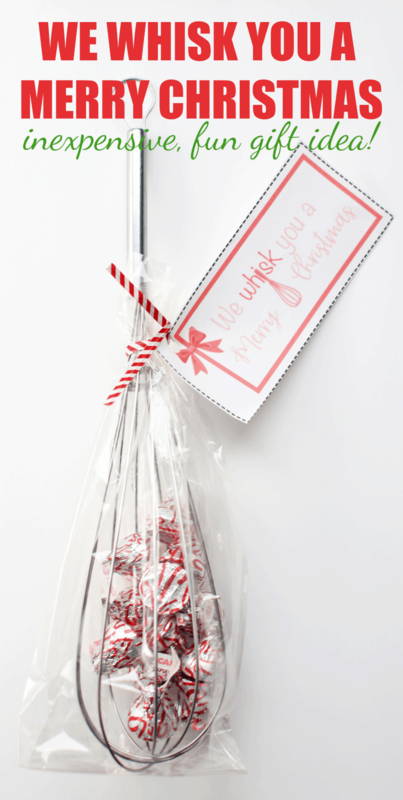 Just enter your email below to grab the We Whisk You a Merry Christmas (Free Gift Tags)! By entering your email, you are consenting to sign up for my email list. However, you can easily unsubscribe at anytime with no hard feelings! These are so adorable! 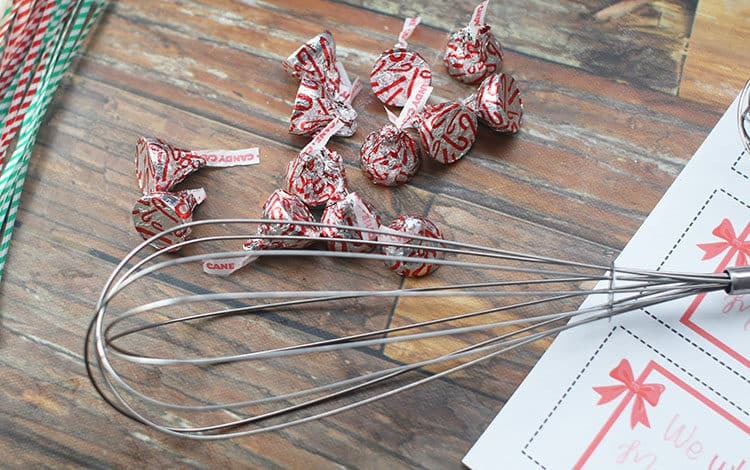 Everyone can use a whisk in the kitchen, and the candy is a great extra. Thank you for sharing and Happy Holidays!